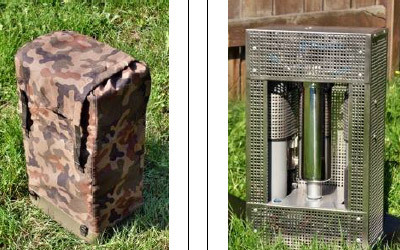 Mobile wastewater and potable water solutions for rapid, effective mission support in austere environments. Armed Forces world-wide face substantial logistical support challenges in managing water resources in the contingency and disaster-recovery environments. Reducing clean water demand and treating wastewater at its source can substantially reduce the resources and risks associated with water management. Approximately 15% of all US Army casualties in OEF and OIF occurred during resupply convoys to combat outposts (COP). Implementing combat outpost potable water and wastewater management solutions can reduce COP support-convoys by 2/3. EEC possesses the capability and track record to deliver water treatment solutions that fit within the US Military’s resource framework and minimize operational management by personnel at end-use locations. EEC’s solutions include military wastewater treatment and potable water production. EEC’s solutions have successfully operated in the difficult environments in which they are deployed and can customize its platforms to meet mission-specific requirements. EEC WWTPs or EEC mini plants are “plug and play” systems requiring minimal site preparation (level, compacted site) and readily customizable to meet mission-specific requirements. EEC’s WWTP operate with moving bed biofilm reactor (MBBR) aerobic treatment technology which offers the most compact package solution while offering the simplest system operation. Effluent produced by EEC WWTP or EEC mini plants can be further treated by the US Army’s SWRS to produce near drinking-quality water for re-use at point of production. 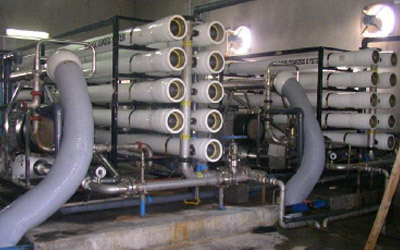 The effluent is also suitable for reverse osmosis (RO) treatment for consideration in potable use under emergency circumstances. EEC’s systems can support military operations at the garrison and COP levels. EEC’s CON Series WWTP (Hotlink Doc 1) delivers the performance required to support garrison-sized encampments. The CON series supports populations as small as 200 personnel. It can and has been scaled to support populations over 10,000 personnel. The system is built to enable shipment of individual components in 40’ ISO containers. Components can then be connected by flexible hose for “plug and play” operation on site. EEC’s Mini Plant Series WWTP (Hotlink Doc 2) delivers the performance required to support platoon and company-sized encampments. The Mini Plant Series supports populations smaller than 200 personnel. The system is built to enable shipment of individual components with standard ISO containers sized from a Tricon up to a 40’ container. Components can then be connected by flexible hose for “plug and play” operation on site. Mini plants can be configured to support mission-specific requirements. Garrison- Level: Kandahar Airport, Afghanistan: (Hotlink Doc 3) EEC CON Series WWTP included bioreactors, equalization tanks, sludge tanks, and chlorination tanks. 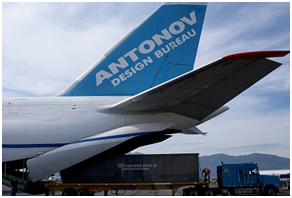 Clients included the US Army Corps of Engineers and NATO Support Agency. System as initially installed originally in 2006 to support a population of 4,000. System was then scaled up at two different times (2008 and 2010) to support a population of over 10,000. The system was decommissioned and half of the equipment has be donated to UNICEF (2014) and moved to Jordan to support UNICEF’s mission housing Syrian refugees. Garrison- Level: Baghdad International Airport, Iraq: (Hotlink Doc 4) USACE procured an EEC WWTP to support a population of approximately 5,000. System included bioreactors paired with on-site cast-in-place equalization tanks. 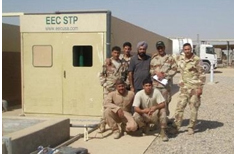 EEC trained operators from the Iraqi Army to manage ongoing operations and maintenance. EEC offers water treatment systems that meet the US Military requirement for contingency operation installation and operation. These systems effectively treat to drinking water quality standards and fit into the military’s logistical footprint. EEC manufactures these “plug and play” systems to meet the customized, mission-specific requirements of each client. The EEC network of manufacturers produces skid-mounted RO systems. EEC now also offers CAS Series ion exchange potable water package treatment systems in partnership with Celtic Aqua. The EEC suite of solutions enables simplified potable water delivery operations in tactical and disaster support operations. 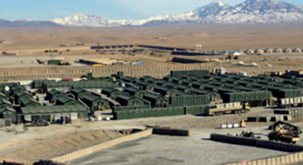 EEC’s portable water solutions can support military operations at the garrison and COP levels. EEC manufactures traditional Reverse Osmosis (RO) Systems (Hotlink Doc 5) on skid mounting to facilitate rapid, simple delivery from manufacturing locations to point of use. 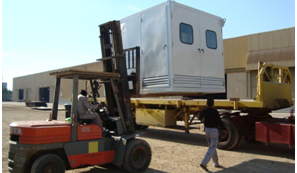 EEC produces RO units tailored to meet any loading requirement. EEC also offers the CAS WT-3 and CAS WT-02 (Hotlink Doc 6) which treats water with an ion exchange-based technology and has been in production since 2007. Individual CAS WT-02 systems produce 60 cmd (Validate) which is enough drinking water for a population of 4,000. The systems can operate in parallel to support larger populations. The CAS WT-02 system’s size, light weight, and wheel mounting enable flexible, mobile deployments. NEW OFFERING: EEC now offers the CAS WT-03, a man-carryable solution to support potable water at the battlefield’s edge. 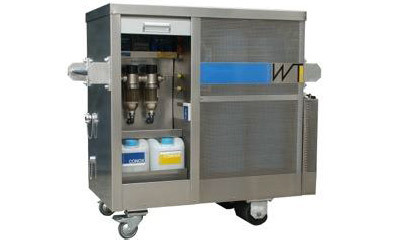 Each CAS WT-03 system produces 4 cmd (VALIDATE) potable water, enough drinking water for up to 200 personnel. The equipment configuration includes two components, each man-carryable by one pair of soldiers with a weight not to exceed 60 lb. These systems possess a minimal electrical power requirement that can be supplied by battery, foot pump, or grid systems. Garrison- Level: Baghdad International Airport, Iraq: (Hotlink Doc 7) EEC delivered an Reverse Osmosis (RO) system to USACE consisting of two skids capable of treating 1,160 cmd (580 cmd per skid) for a garrison environment. This capacity was sufficient to support a population over 5,000 (assuming per capita water consumption of 60 gpd) in an austere environment. Tactical-Level: Rescue Corps, Poland: The CAS WT-03 has been deployed with the Fire and Rescue organizations. These mobile potable water units are capable of producing 40 cmd of potable water from polluted fresh water while operating 24 hours daily. To date, 60 units have been provided to these emergency organizations. When and how are the systems used?